1970s Southport Merseyside. Carmichael made the cab too. This custom cab was used by Carmicahael to build fire appliances on a variety of commercial truck chassis. These included Albion, Commer, Dodge, Ford, Karrier and Leyland as well as Bedford. At least one was a mystery, with no chassis manufacturer's identification! Most were water tenders or pump escapes, but there were also at least two TLs as well as this very unusual ET. It was quite a bit more spacious than the more commonplace crew cabs built around standard lorry cabs back then, but - in the case of the D series Fords - it lost its tilting feature. Added by Rob Johnson on 16 January 2019. 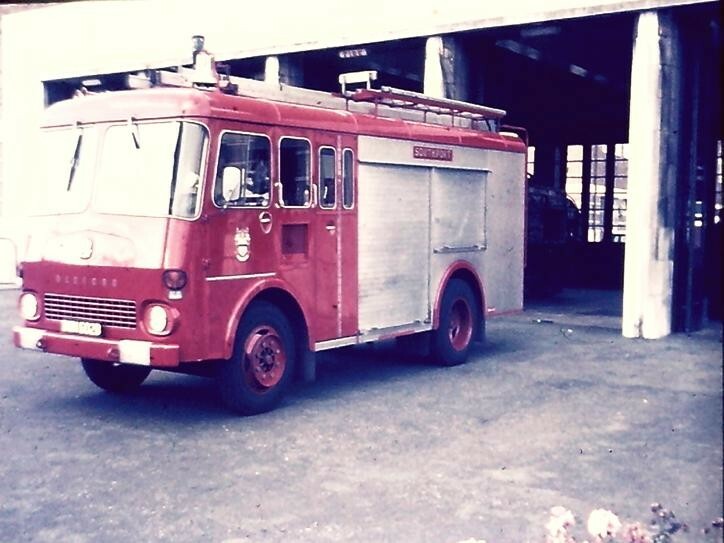 Up here in Tayside, we had Albion/Carmicahael Vista-vu appliances all Wtl's until 1971 then the Dodge K series HCB-Angus. Added by Grant Melville on 24 January 2019. It was marketed by Carmichael's as The Vista view cab. Added by Shaun R. on 27 January 2019. Using the same custom cab on a variety of chassis has been a very common practice among US fire truck manufacturers for decades, with often minor variations in radiator grilles, lights and decoration. But Carmichael were the main UK firm to do this on a large scale, and all of these were virtually identical apart from the badges or lettering. Alfred Miles took a similar approach. They built on Bedford, Commer and (one) Thames, but still used the Commer grille. Later Dennis F8 Miles bodied units had a slightly different custom grille, but were otherwise identical to the Bedfords. Added by Rob Johnson on 07 February 2019.